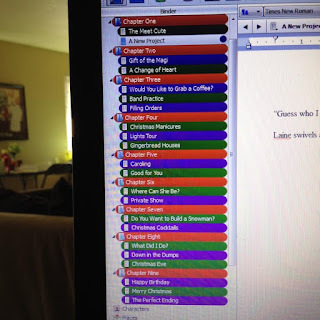 Over the weekend I did some plotting (and even writing) for the third book in the Queen of the League series. While I went into this quartet with a general idea of some of the key character development and milestones that would happen for Harper Duquaine, the heroine of the stories, I didn't necessarily know all of the particulars. Now that the first book will soon be available to you readers, and the second book is in the hands of beta readers, I have a better feel for who these characters are and how they can get to where they are supposed to go in the journey that is this series. It's kind of an exciting place to be as a reader, because this is where a lot of the magic happens. 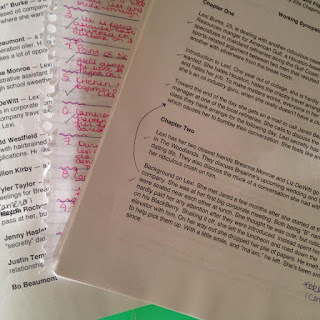 I've shared some of my practices for writing and editing (you can view an archive of some of them under the "Writing Tips" tab), but I thought it would be fun to share a few of the tools I have used to create this particular story. Last week, after finishing the second draft of book two, I paid a visit to my sister's bar and made a list of where Harper would be at the beginning of the third book under the "Before" column on a few sheets of paper. In the other column, under "After" I wrote where I hoped she would be by the time the story ended. I mulled this over for a couple of days, changing a few things here or there. I also considered which of those plot developments or changes might be the most interesting to focus on. (Note: I skipped that last part of the Before and After test when writing the second book in the series, and I imagine that's part of why I had so much reshuffling and revising to do. Lesson learned. This is a constantly-evolving process, my friends. With a better idea of the main plot elements and themes of this story, I used the Ten-Scene tool to shape the major plot arc of the story. I recently reorganized my desk and stumbled upon quite the collection of index cards, which I used to help me visualize the flow and ebb of this book's story. This was snapped before I wrote out the actual plans for each of those scenes, because I didn't want to give any spoilers, but you get the idea. This is actually still in progress, but using those ten scenes, I'm shaping out what will happen in each chapter and each scene in between to get us to those key moments. This is the part of the process that will be most loose. I like to leave myself open to making some changes as the story progresses. That frequently means cutting, adding, or changing a previously planned scene--hopefully before it's written. I sketch down some of my ideas in a notepad while I'm out and about, but I do most of it directly in Scrivener by organizing my folders and the scenes within them. 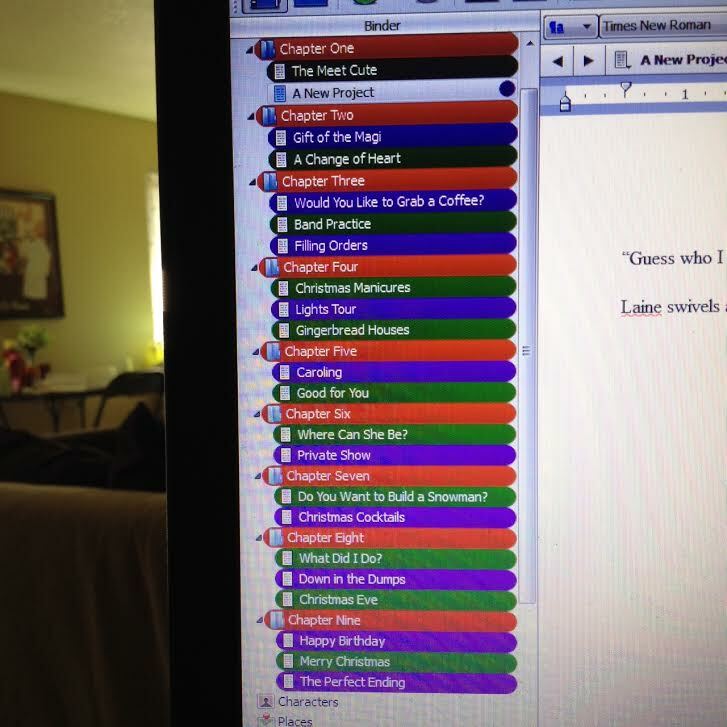 God bless Scrivener for speaking to my Type A plotting tendencies. I'm introducing a few new characters for this book. They needed names, personalities, and an explanation of their purpose to the story. This is an added step unique to this series, but each book in the Queen of the League series has to have a fake football season play out. As part of that, I need to know how Harper's team will perform and how it is affected by or shapes the rest of the story. For example, I can't have Harper being in an amazing mood if she's just lost a major game to her opponent, can I? So that's kind of where I am with this story. I'll admit, I wasn't planning on writing this one next, but after spending a little time away to write a Christmas novella and reading through the first and second books again (not to mention the upcoming start of football season) I was in the mood. Wish me luck! During the past three years, I’ve managed five fantasy football teams with mixed results (and never a title), but it wasn’t for a lack of trying. Each time I drafted a team, I sought to find a group of players worthy of the title “Fantasy Football Prince Charming” to help me secure my rightful throne as queen of the fantasy football league. In retrospect, perhaps I should have looked for a knight with an army to do my bidding rather than a figurehead (think Daenerys Targaryen in "Game of Thrones" rather than "Cinderella"). I suppose it’s only inevitable I was confused. Most of my experience about attaining nobility is limited to Disney movies and romance novels. I should have studied up on the War of the Roses rather than stopping to smell the roses. During the last two seasons—and drawing from four teams—I documented my ill-fated attempt to find a Fantasy Football Prince Charming to rule by my side. And despite my failure to secure a title, I “met” a few nice dudes along the way. I'll hope to find some more candidates during this year's fantasy season. To honor them—and the forthcoming release of my fantasy football-driven novel First & Goal—let’s take a look back at the best and worst of my contenders for the crown. Peyton Manning (read about him here and here) – Peyton is my constant. I’ve had him on one of my fantasy teams each of the past three years, and he has only on one occasion let me down (and everyone has a bad week). 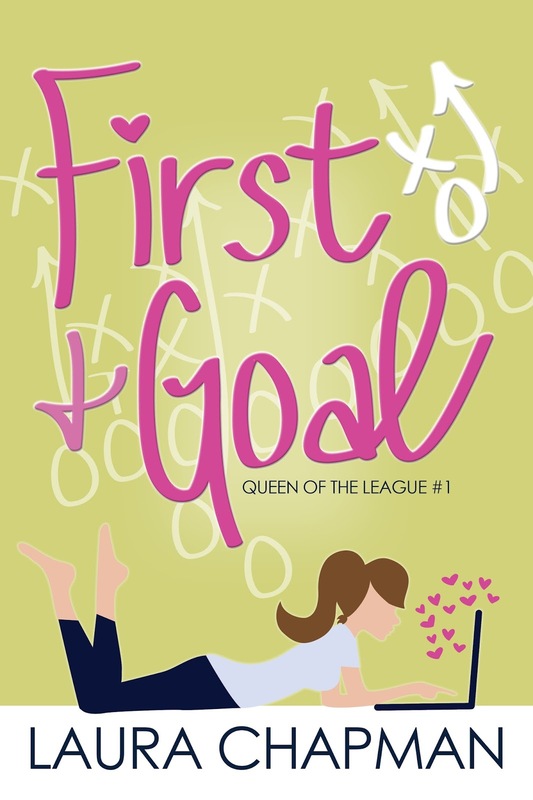 Sometimes a woman needs to be able to depend on a man—or quarterback—to even believe in love—or the possibility of winning games. Calvin Johnson (read about him here and here) – Oh, Megatron, how I missed you last season. Calvin was a star on my team during my first two years of fantasy football, and he was a big playmaker. I’ll admit there were moments in the first season when I wondered why he wasn’t performing as well as I’d like, but I soon learned that it isn’t always the wide receiver’s fault when a quarterback is figuring out the game. Jordy Nelson (read about him here) – One of the few Packers players I’ve had on my team, Jordy Nelson has the “old reliable” components of Peyton with the stud factor of Megatron. When Jordy and Aaron Rodgers collaborate on the field, magic happens. I contend that their partnership is one of the greatest bromances happening on the field in this era. Knowing he won't be on the field this year breaks my heart. He could have been "the one." LeSean McCoy (read about him here) – When Shady is at his best, it doesn’t get much better. During my Cinderella season of 2013 (where I started the season in last place and ended up finishing as the first runner-up) LeSean was the perfect first-round draft pick and an obvious keeper for the next season in my keeper league. LeSean McCoy (read about him here) – When Shady isn’t at his best, he has the ability to break hearts. After a wonderful 2013 together, 2014 was filled with disappointing numbers that made me question everything we had together. We finished our season with a losing record, and it still tears me apart. Eli Manning (read about him here) – We had one good game together, and that was all it was. Two ships passing in the night… While I’m fortunate for our time together, there’s no way I could commit to him. Especially not when his brother and I have such a good thing going. Jamaal Charles (read about him here) – Maybe I was expecting too much from him too soon. Maybe I should have been more realistic. But when you take someone with your first draft pick, you expect him to put up some big numbers week in and out rather than spending half of his life on the will-he-won’t-he play-this-week bench. Sorry to put you here, buddy, but I'm also not sorry, because this just didn't work out well for us. So, watch out men of the NFL. I'm drafting the first of my new teams on Sunday, and I have a bunch of blank spaces waiting for your name. Now that you’ve read my best and worst fantasy players, it’s your turn to weigh-in. Who are your favorite players in the league? 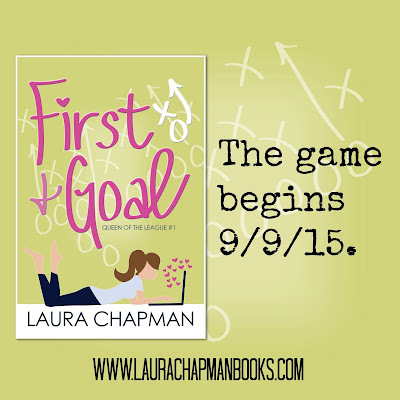 Available on Amazon, Barnes & Noble, Kobo, and Marching Ink on 9/9/15. I still have more shelves and favorite stories to share, but today I wanted to showcase a few of the little extras that make my little home library uniquely mine. This beautiful Murano glass pen and ink set on my Garwood to Gibson shelf was a gift from my little sister. During a trip she took to Europe a couple of years ago, she found this set in a shop in Venice, Italy, and brought it home for me. And I adore it. Not only is it a perfect gift for a writer, but it's beautiful and looks particularly pretty in the morning sunlight. It has added meaning, because it came from Sarah. 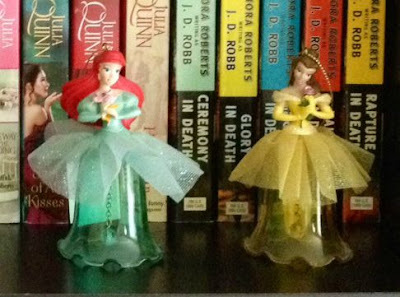 The Ariel and Belle bells on my Montgomery to Robb shelf were another gift. A couple of my friends brought them back to me from Disney World as a thank you present for checking on their dog while they were on vacation. Again, these are two presents that mean a lot because of the givers and because it's always nice to know your friends get you and what you like. This is a memory jar, located on the writing resources shelf of my library. I've blogged about this before, but basically this jar contains little mementos from some of my travels. Notable pieces are train and tube passes from my college trip to England, a VIP pass to the backstage of the 2008 Scream Awards, and a sea shell from the beach where one of my best friends got married. This is a never-before shared shelf, but I like to think of it as my nerd nook. I ran out of room on my regular bookshelves, so I keep the boxed sets to my Song of Fire and Ice, Harry Potter, and Lord of the Rings collections on top of one of the shelves. For a little flare, I have this metal "&" decoration, which I snapped up at Michael's during a trip to find supplies for a project. 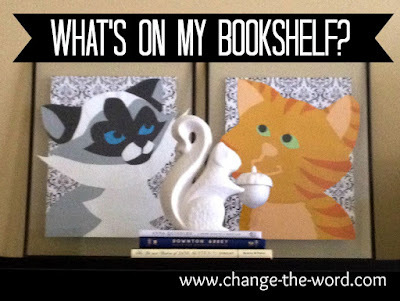 I adore the ceramic white owl that stands on top of one of the shelves. I found it at a vintage shop earlier this summer, and I like how it looks sitting in front of that picture frame (another gift from a friend, it is the framed ISBN number for my debut novel, Hard Hats and Doormats). And last but not least, the story behind the picture you've seen a lot of throughout the month. Those are framed paper-art portraits of my beloved Jane and Bingley created by my sister for me as a Christmas present. These came about, because I fell in love with some artwork my sister was creating to give to a friend for a baby shower. After months of not-so-subtly dropping hints (which ultimately led to me saying, "All I want for Christmas is cut-out pictures of the cats") I was beyond thrilled to find these sitting under the tree. The ceramic squirrel is another gift from my sister, and it doubles as a tea light holder. Mr. Squirrel is sitting on top of three gift books, including The Wit and Wisdom of Jane Austen, Downton Abbey Rules for Household Staff, and A Short Guide to a Happy Life by Anna Quindlen. of what became Hard Hats and Doormats. One of the most frequent questions authors receive is "Are you a plotter or a pantser?" Though I primarily fall under the plotter category, I've tried my hand at pantsing. I can't show you any examples of that, because none of those stories have been finished. I guess that means I'm truly a plotter at heart. This is a good opportunity to get to know my characters. I write down everything from what they look like to their major ticks to the way they drink their coffee--or if they drink it at all. I also write a brief history, which is usually a free-form essay of sorts that explains why this person is the way they are. For The Marrying Type, I wrote about how difficult it was for Elliot to lose her mother to cancer when she was in high school. I wrote about her strained relationships with her father and sister. I wrote about what it was like to begin dating Eric and then to breakup with him. Having this background and knowledge was important to have before I wrote, because it showed why she acted the way she did in certain scenes. And some of it actually ended up being included in the story. I sometimes also include aspects of a character that don't make it into the story, but they're still important because they help me better know who I'm writing about. From this, I create a brief cast list that has a rundown of each of the characters in the story along with a one- or two-sentence explanation of his or her role to the story. Often it explains the relationship a supporting character has with the main character. This is a quick reference for me to pull up while I'm writing, because sometimes all of the names can get confusing. 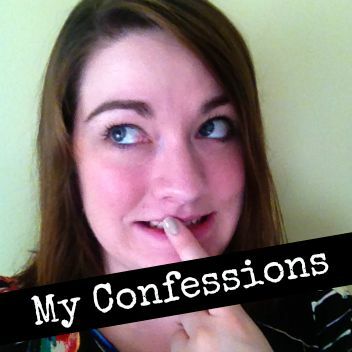 I've blogged about this before (you can read about it here), but basically what I do is imagine where my primary characters are in their lives when the story begins. I write this down in one column, and in the next I write where I would like them to be after the story. So, without getting too spoilery, in "Oh Baby," the Autumn and Tuck follow-up featured in A Kind of Mad Courage, I knew Autumn would be super pregnant at the beginning, and she'd have a baby in the end. Somehow, during this story, I'd have to show that happening. Getting her from Point A to Z is the story and my plot. This is another resource I've blogged about (read about it here), but basically this is an opportunity for me to do a quick outline tracking the major conflict(s) or a story and how it will unfold and how it will be resolved. or renamed as the story evolved during the writing process. Then, in the notes section of each individual document, I'll write a few sentences about what needs to happen to the characters in this scene to move the story forward. For example, in The Marrying Type, during the first scene my notes would have read something like, "Elliot is searching through the family business's financial records in preparation for a meeting when she receives a call from her cousin. Marissa is filming a reality TV series about wedding planners and she wants Elliot to be on board. Elliot founds the idea repulsive, but politely declines. During the call, she uncovers the badly stored company records and realizes they are about to lose the business to the bank. Desperate to save the company, she agrees to do the series as long as the price is right." Now, that scene is a little more descriptive than some of my outline notes. 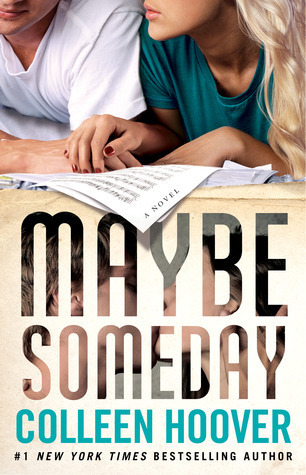 It could be as simple as, "Elliot and Eric meet to talk wedding plans, and both feel a lot of the old emotions resurface and neither knows what to do about it. Elliot's instinct is to push them behind and be kind. Eric's is to also repress them, but also use them as an opportunity to keep her at a distance." I keep my outlines flexible during the writing process. Sometimes scenes move around, or sometimes they go away. Sometimes new ones come up as I write and realize the story needs something more. But I find I need to have this sketch of a roadmap to begin, otherwise I'm unable to navigate the trip from the first scene to the last. So here's the question to you, fellow writers: What sort of pre-writing resources do you use to prepare for your story? I introduced part of my Catherine Coulter collection last week, but the real mass appears on this shelf, particularly in the form of the Sherbrooke series. We also see additional books that came to me from my mother in the form of Michael Crichton's works. That said, I did read Jurassic Park and The Lost World when I was in middle school. (They were probably the most challenging books I'd read to date at that point in my life.) My mom is a purist, and she preferred the book to the movie (as most people do), but man oh man, I really liked Sam Neill as Alan Grant and Jeff Goldblum as Ian Malcolm in the movies. They were defining parts of my childhood. We move on to other books in my collection like James and the Giant Peach (not my favorite Roald Dahl book, but the one I picked up at a book fair) and my incomplete Bridget Jones series (I opted not to read Mad About the Boy, and a former roommate borrowed the first book in the trilogy and never returned it, which is part of why I still don't like lending books). This is also the beginning of my Julie Garwood collection, which is one of my most extensive collections of historical romance. I'll talk about it more in my next bookshelf post, but these were some of my favorite books when I first discovered romance novels. Oddly enough, this shelf features three of my least-read Julie G books, but not because I didn't like them. I just already have about four or five in my "I read these every year" pile. You'll probably be able to pick those ones out for yourself in the picture. Do you have any of the books on this shelf? Have you read any of them? Share your book story in the comments below. 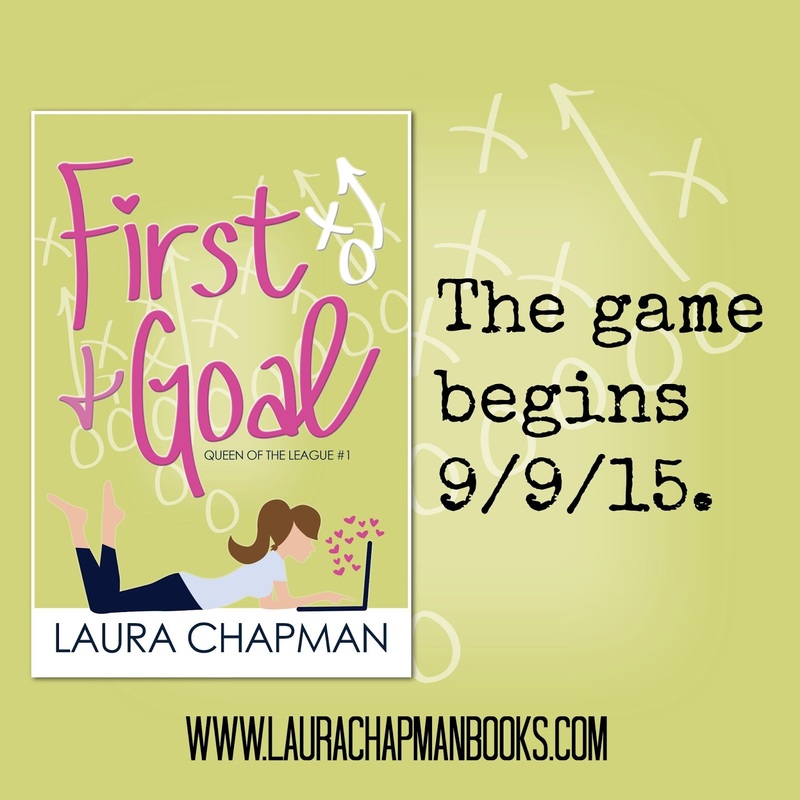 I am thrilled to announce the upcoming release of my new novel, First & Goal. 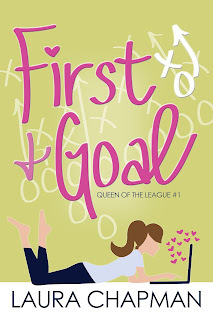 It is the first book in my Queen of the League series. As a lifelong football fan and fantasy football fanatic, working on this series has been a lot of fun. This book will be published by Marching Ink on September 9. Stay tuned for more details about where you can purchase it, but until then you can add it to your to-read list on Goodreads. You can also enter to win a free digital Advanced Reader Copy of the story by entering the Rafflecopter below. Good luck! My name is Laura, and I am addicted to Dubsmash. Naturally a chance to be all kinds of dramatic, then force my friends into watching the results, holds a lot of appeal for me. I'm sure it doesn't come as a surprise to those of you who read Hard Hats and Doormats. Lexi Burke got her mad karaoke skills from someone (like her book mama). But appealing doesn't even begin to describe the sheer joy and excitement--which ultimately led to obsession--once I downloaded this app. The night one of my good friends and her husband introduced me to it, we exchanged videos back and forth for hours. Nothing is sacred. Any and everything is a potential future Dubsmash. In the days that followed, it was rare for her and a few others to go a whole day without being forced to watch a couple of video responses. It actually reached a point that my sister told me I had to stop sending them, because she wasn't going to watch them any more. Everyone's a critic, or haters are gonna hate, I guess. I liked to think I was offering inspiration or a few laughs, but I guess not. My filming and distributing has grown less frequent in the past month, but Dubsmash is still there for me when I most need to procrastinate actual work or just can't express myself through my own words. Bless its little heart. 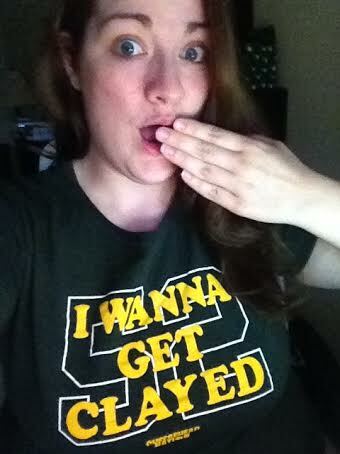 Maybe the real confession here is that I have a serious case of vanity. Bless MY little heart. I've been playing the "I wish" game a lot lately. And my wishes have spanned just about every topic. I wish I lived somewhere with mountains. I wish I didn't live in an apartment with noisy neighbors. I wish it wasn't 100 degrees and humid. I wish my air-conditioning worked better. I wish I would have had more money to go on vacation. I wish my staycation wasn't over. I wish I worked from home. I wish I'd gone to RWA. I wish I was a best-selling novelist. I wish I had more reviews on Amazon. I wish I was a full-time writer. I wish I was better at meeting my goals. I wish this draft didn't need more editing. I wish my other project was coming together more smoothly. 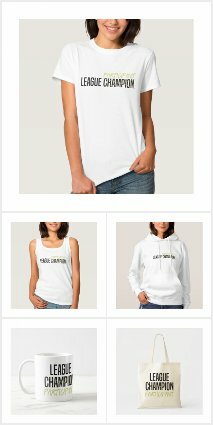 I wish I didn't hate everything in my closet. I wish I was nicer. I wish Ever After was still on Netflix, because I'm too lazy to get up and put the DVD in the DVD player. Most of this wishful thinking comes from the amount of time I find myself spending on social media studying and envying the fabulous lives of the people I know. While the rational part of my brains knows and understands that we don't get the full picture of what a person's world looks like through the lens of social media, the jealous part of me is too busy wishing I was reading those posts from a five-star hotel in Seattle or London or anywhere fabulous. The grass is always greener, you know? Some of it also comes from myself, and I'm not sure what to do about that. I know I have plenty of good things in my life. I know I'm fortunate to have any home, and a job, and food, and family, and cats, and so on. And I am grateful for it, even if I don't always celebrate the good as often as I should. Maybe it's the burden of having an overactive imagination--one that has built up an amazing dreamworld for myself, one that makes my reality, which is really pretty good, seem less than stellar. I should do less wishing and more praising. I'm not entirely sure what I'm trying to say here, or what point I want to make. Maybe I just miss my staycation, and I should get over it. There's another part of me that doesn't want to let it go. That's the part of me who looks to those wishes--some of which may or may not come true--as a way to motivate myself to keep going. Isn't that what life is all about? Trying to make things better, pursuing happiness? Do I have any fellow wishers in the house right now? What's on your mind? A sometimes follower of E! 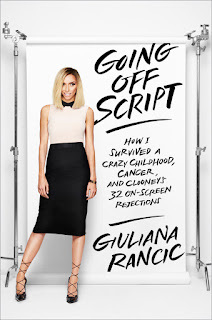 News and a fan of Giuliana and Bill, I was pretty excited when my friend recently lent me a copy of Giuliana Rancic's new memoir Going Off Script: How I Survived a Crazy Childhood, Cancer, and Clooney's 32 On-Screen Rejections. 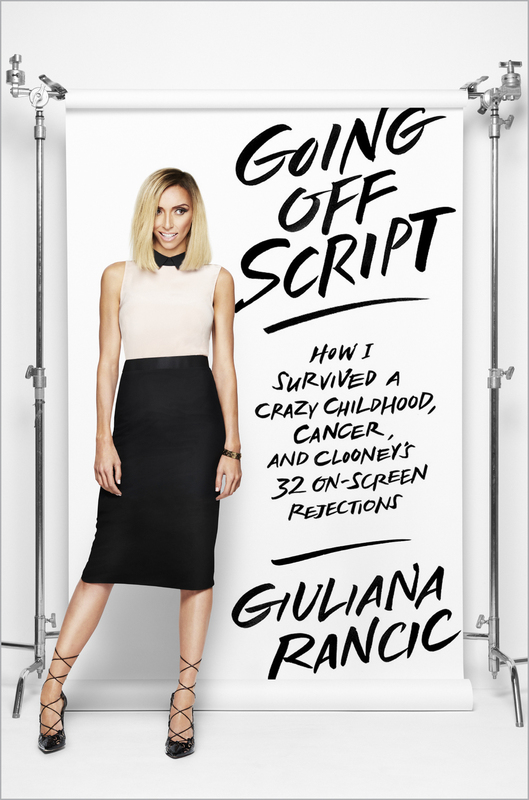 Written in a casual, very Giuliana-like tone, it tells the story of growing up in Italy, moving to America, making her mark in the entertainment news biz, finding the love of her life, and fighting cancer to save it. A witty, warm, and inspiring memoir from the E News! host, Fashion Police panelist, red-carpet correspondent, author, and reality show star Giuliana Rancic. I went into the book feeling like I already knew quite a bit about Giuliana. I suppose that's the way a lot of us feel when we see someone on TV every day, particularly when we're given a pseudo-backstage glimpse of their life through a reality TV show. But there were quite a few stories in here that were new to me. And I also saw a more accurate depiction of what was really going on behind the scenes of cameras. Though I laughed a lot, there were several moments of this story that had me full-out crying. While the Rancics were publicly candid about their struggles with fertility and her cancer diagnosis, these parts of the book were particularly crushing to read. They put on such a brave face publicly, that it makes me admire them even more to know how much of a hard-fought struggle it was to keep going when facing personal devastation. Probably my favorite part about this book was reading more about how Giuliana and Bill's relationship developed. I've always thought they seemed like such a fun, loving couple that challenges and brings out the best in each other, but in reality it's all that times eleven. They're definitely a total #relationshipgoal. I laughed a lot reading about her childhood, and will admit I was surprised to hear how much she struggled in school, though it made a lot of sense. 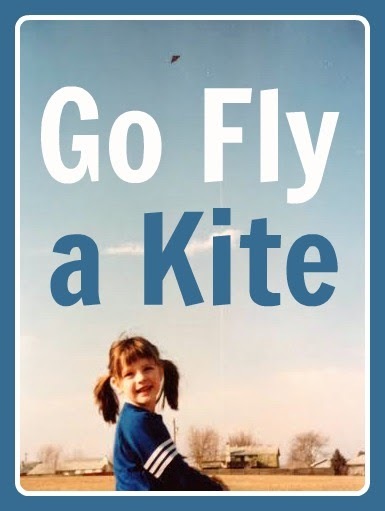 It was at times inspiring to see how driven she was to fulfill her dreams even when there were naysayers telling her it wasn't going to happen. And... I had actually just finished reading this book the night before Giuliana announced she would be leaving E! News. Based on some of the stories she shared in the book, I wasn't at all surprised by the news. Though she seemed appreciative for all of the opportunities her career with E! has afforded her, you definitely had the impression that maybe enough was enough and she was ready to move on to the next phase of her life. If you're a fan of Giuliana and her work, this is a solid, fast-paced, and entertaining read that feels more like a gossip-session between friends than a straight-up memoir, which made it enjoyable. My first bookshelf is kind of badass when you get down to it. Though it only encompasses about 20 books from authors that fall between Louisa May Alcott and Agatha Christie, you get a good taste of what the rest of my collection will hold. There's a nice mix of historic and contemporary classics; cozy mysteries and anything but cozy mysteries; chick lit and romance; local and international; traditional and independent; young adult to stories I'd prefer my future kids wait until they're mature enough to handle. Another common theme this shelf shares with many others we'll explore in the weeks ahead of us: there's a mixture of books I've never read, stories I've read once, and ones I go back to over and over again. This shelf has a lot of power when it comes to stories that I go back to over and over again. Stories that have changed my life. A Lantern in Her Hand by Bess Streeter Aldrich is one of them. I read this book for the first time in fifth grade when my homeroom teacher learned about my love for the Little House book series. She wrote me a note in my reading journal suggesting I check out Bess Streeter Aldrich, who also wrote historical fiction based on her life and she was practically local, coming from nearby Elmwood, Nebraska. I read the book and I loved it. I went on to do a major book report and presentation on it--complete with me wearing my grandma's dress and bonnet from the Nebraska centennial celebration--and I earned a Girl Scouts patch for studying a local women's author. There's a ton of power contained in the Complete Novels of Jane Austen. This heavy volume contains dozens of characters and lines that inspire and thrill me each time I read them. Though I'd read Emma, Pride and Prejudice, and Sense and Sensibility in other volumes, this specific copy was the one I used to read Persuasion for the first time. 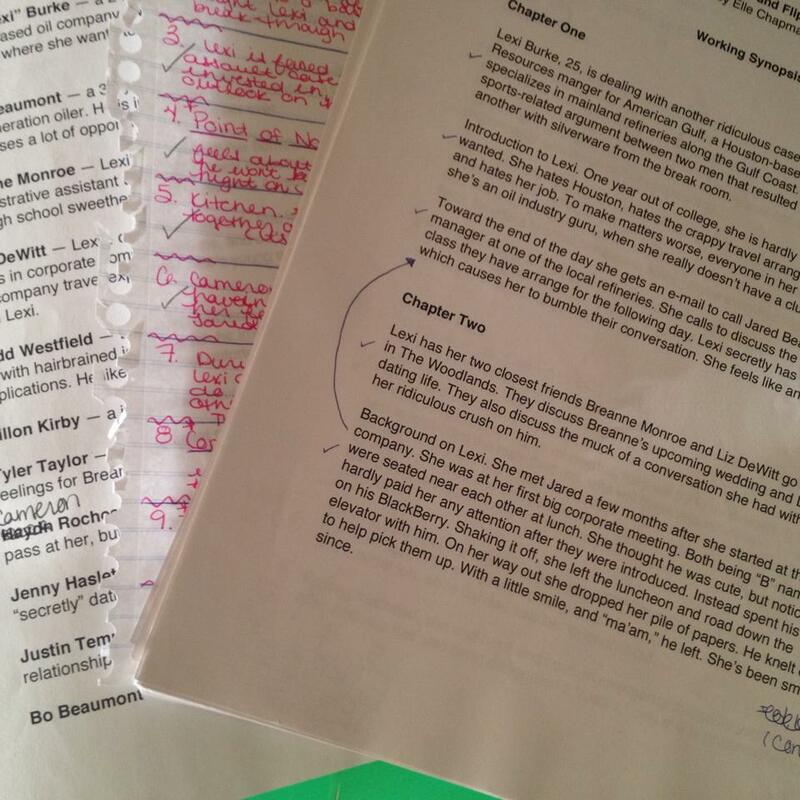 I later studied the story going back to review it again and again when I was plotting and writing The Marrying Type. I recently (and finally) read Jane Eyre by Charlotte Bronte. I figured it was about time after watching Michael Fassbender play Mr. Rochester dozens of times. Though it kind of took me forever to read it, I'm glad I did. While the movie was amazing, there were so many lines, so many little asides that weren't included, but that I immensely enjoyed. This will also be our first, but not last, sighting of Agatha Christie books. (I'll save the story about those later.) But along the lines of mysteries, I have the first three Body Movers by Stephanie Bond. 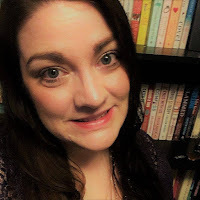 I actually reviewed the second book in the series for my college newspaper, and I had a chance to attend a day-long writing seminar led by Stephanie. While many of the stories on this shelf inspired me to become a writer, I would say that the day I spent listening to Stephanie talk about her method for plotting and her tips for maintaining steady writing was probably one of the most influential moments in my writing career. I still think about her advice often when I write, and I've carried those lessons with me and made them my own.